To Be a Mother or Not to Be? That is not the question. At some point in her life every woman is faced with the question of whether she will have children or not have children. 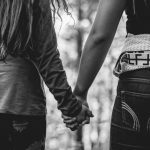 It’s a very personal question that we don’t have a lot of wisdom and ritual around in our culture, which can lead to a lot of stress, anxiety, personal doubt and shame, and even a lot of separation and judgement among the best of friends. The very question around motherhood itself sets us up for separation and self judgment because it’s a yes/no duality based question, which automatically creates limitation with only two choices. Either I have a child if I want to be a mother or I don’t. This polarizing approach to motherhood also puts a lot of pressure on a woman to have a body that can produce a child or can beat the clock or that she can justify a reason if she chooses not to birth children. Feminine Wisdom guides us to make inquiries that expand possibility and bring us deeper into our own personal truth. How do I desire to mother? It is deep within a woman’s psyche to mother. Our feminine energy within MUST give birth, we just are not all meant to give birth to physical children. Our feminine energy within has a yearning and instinct to nurture and be a guiding supportive presence. We are all just not meant to be day to day parents. Our feminine energy within calls us to gather and care for others. All women have an instinct and need to “mother.” What if mother was a verb, not a noun? In our current “overculture” we are domesticated to believe that means giving birth from our physical bodies. There are deep subconscious beliefs and fears that can cloud our ability to truly know what our path with motherhood is – causing us suffering, self doubt and self judgment. “Overculture is meant to define one apect of the dominant and often power-mad culture we try to navigate without being crushed or over-assimulated into, thereby losing all our unusual talents, our never before seen wonders we are bringing to life, whether children or works … and more. To my thinking, the Overculture has some good things to recommend it, but also it is far too often a force and intent to shape, trim and mal-form and diminish and enslave. 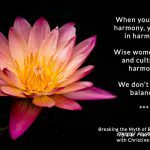 We are missing more conscious ways to explore our relationship and choices around motherhood that diminish our feminine power and sisterhood and self worth. and together, give this world all the mother love it needs – now that is feminine power! The “overculture” beliefs around motherhood that still drive our choices at a subconscious level, clouding our clarity – even the most intelligent and educated women often don’t have insight to what is driving their beliefs and choices. 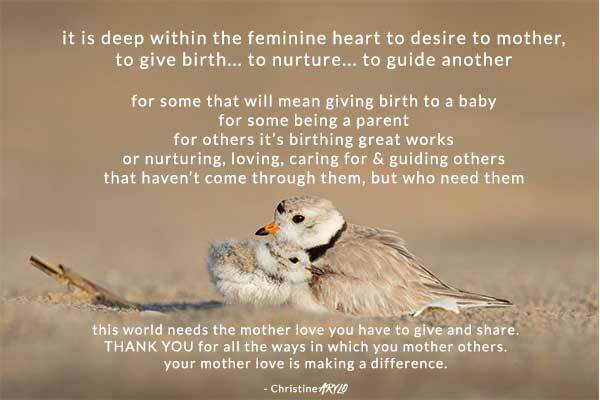 The deep desire all women have to mother – and how holding mother in the way the collective culture holds it, diminishes our feminine power and sisterhood. And can confuse us or drive us to make choices that sabotage us. Changing the way we approach the very personal questions about how we each are called to mother – step out of the collective ‘fishbowl’ to explore how expanding our choices to mother could change the world, and our over stressed lives. Conscious processes for making the choice for how you will mother – Christine Arylo will share her specific personal process that includes exploring choices at a multiple levels – including diving into yourself to illuminate subconscious societal beliefs, your personal soul path, and more. And… Christine has invited a special guest to join to share another perspective on the journey. Laurie Jacobsen Jones, a woman who explored many paths to motherhood, first unconsciously – from both ego and soul – then consciously – following the flow of her soul path – including the natural way, the ‘fertility gauntlet’ way, and finally was led to adopt two daughters, leave her corporate executive career to start a school, and became very clear about what her truth with being a parent and a mother was. 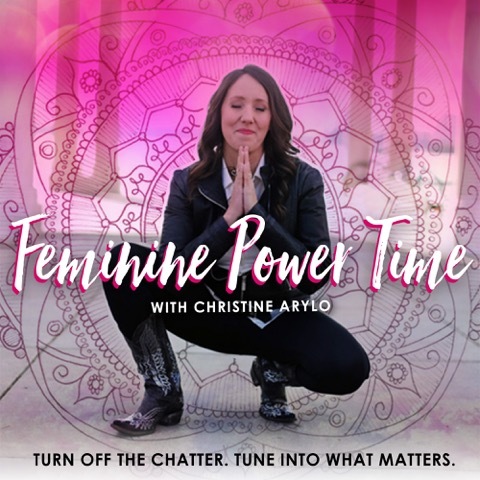 Subscribing to Feminine Power Time on Itunes Receiving the Feminine Super Power Kit + Meditations + Christine’s Weekly Wisdom Letters. This episode of Feminine Power Time is the 4th in a series on the Feminine Bond. To tune into the other episodes: Mother Love, The Shadow of the Sisterhood, and Strengthening Your Sisterhood, you can access them at www.FemininePowerTime.com or by subscribing to Itunes or Stitcher. I love this so much! I heard so much in here, and not simply about having kids or not having kids, but about waking up to your own truth. About having grace for yourself when you know the truth, but are not in a space when you are ready to face that yet. SO GOOD! Thank you so much. This is my go to when I need some feminine community and feminine wisdom. Beautiful, thank you so much Christine, this is such a perfect podcast for me right now as I often field the question, are you going to have kids? When are you going to have kids? And my answer is ‘probably not, but I have time to change my mind if that feels right too, or maybe I’ll adopt.’ And now I feel so much clearer in how to give a clearer, more succinct answer that is guided by the feminine. Loved it thank you! I like some of the things written here but I am struggling with concept you talk about and the example you gave about a woman deciding to not have birth children but to adopt and change her life completely to become a teacher is harnessing feminine power. What may I ask am I missing? Genuinely interested to understand. Error: Error validating access token: Session has expired on Friday, 19-Apr-19 12:24:14 PDT. The current time is Wednesday, 24-Apr-19 09:46:26 PDT.